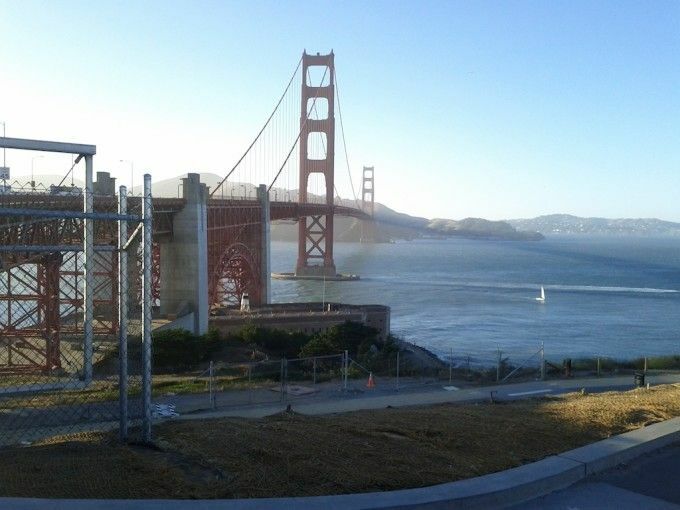 Had a moment today where I could leave my work and walk across the Golden Gate Bridge. It’s huge and amazing, and apparently, it can easily survive a serious earthquake. Posted on August 9, 2012 by Konstantin Kovshenin. This entry was tagged personal, travel. Bookmark the permalink. Nice! How long did it take to cross? It took less than an hour, but we walked quite fast and ran in the beginning too. It was quite cold and windy too!